As any traveler surely knows, it’s always cheaper if you travel one way; especially if you go to Mars. 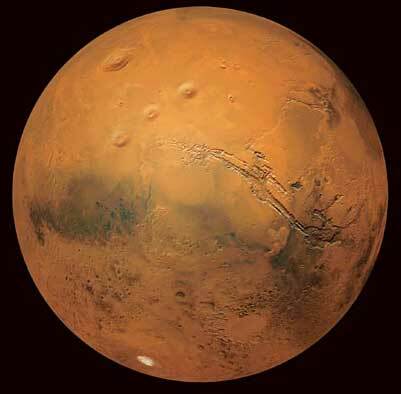 Recently, two renowned scientists made a proposal that startled the whole scientific community: one way trips to Mars. The whole purpose would be to colonize the planet faster and more economically, pretty much in the way the first settlers came to America, not expecting to go back. However, numerous astronauts frown upon this idea. However, NASA seems to really like this idea. President Barack Obama has already outlined a plan for going to Mars in the mid 2030s, but he hasn’t mentioned the fact that the astronauts wouldn’t be coming back. Schulze-Makuch and Paul Davies, a physicist at Arizona State University make a pretty strong case, arguing that in the more and more plausible scenario of an Earth cataclism, mankind has to be prepared somehow – and the best way would be one way trips, which would start in two decades. “You would send a little bit older folks, around 60 or something like that,” Schulze-Makuch said, bringing to mind the aging heroes who saved the day in the movie “Space Cowboys. It’s also important to understand that this is not a suicide mission. And if you think about it, they will actually feel more connected to home than Antarctic explorers. Now ladies and gents, an interesting question arises here: would you sign up for such an affair ?